The unfair trade practice of dumping has been regulated for many years. Dumping distorts competition by selling exports at exceedingly low prices in foreign markets. Over the years, anti-dumping measures designed to counter dumping through the imposition of duties have become the most effective and popular way employed to protect domestic industries under threat. The 1980s, however, ushered in a counter measure: circumvention. As a means of avoiding anti-dumping duties, circumvention threatens the effectiveness of the anti-dumping system by undermining the protection provided for domestic industries. In response, anti-circumvention measures have been designed and implemented to combat those activities. 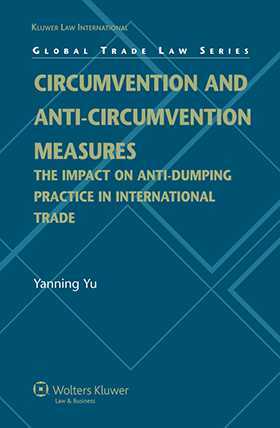 This is the first book to offer a detailed analysis of this significant issue in anti-dumping practice.